An Arc Flash event occurs with a short circuit in any of your equipment that may be underrated, deteriorated or corroded. This event will flash an explosion with a temperature of up to 35,000 degrees for a great distance from the equipment. This event causes severe burns and the sound blast can also rupture eardrums resulting in hearing loss. 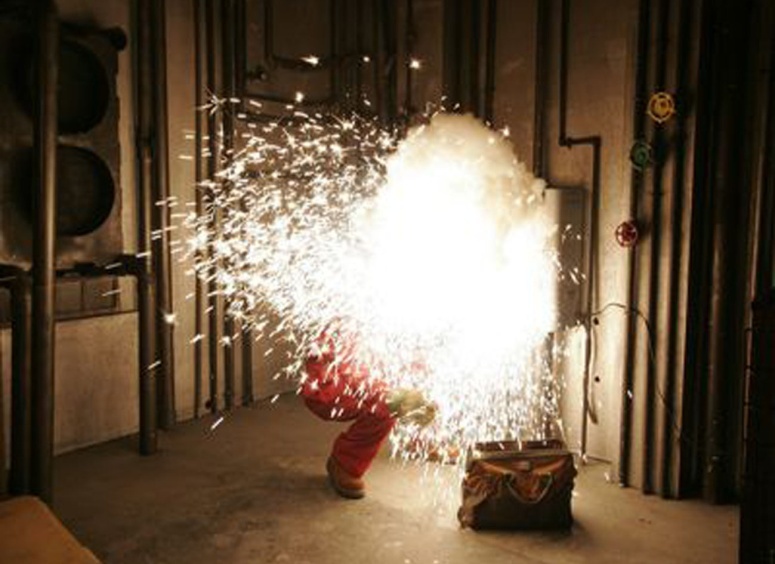 What can I do to prevent an Arc Flash? An Arc Flash Study accurately evaluates the danger for potential arc flash events in your equipment and allows labeling of the equipment to warn your personnel of the potential arc flash hazards. The results of the arc flash study will also identify the Arc Flash Protection Boundary around the equipment. Within this boundary your workers must be wearing the proper clothing, or personal protective equipment (PPE). Also identified will be what PPE is required by each category as outlined in the National Fire Protection code 70E and required by National Electrical Code 2008 110.16. Many loss control experts as well as insurance companies are requiring plants to carry out an Arc Flash study to reduce the risk of loss. If you are interested in learning more, please contact your local Muth Electric office or Muth Electric’s Corporate Office for a free estimate on this and all of your electrical needs. During an arc flash study we gather various information about your electrical system and create a one line drawing of your facility. This drawing will be evaluated along with your circuit breakers to identify the arc flash dangers. We will then report to you where those dangers are and label your appropriate equipment.